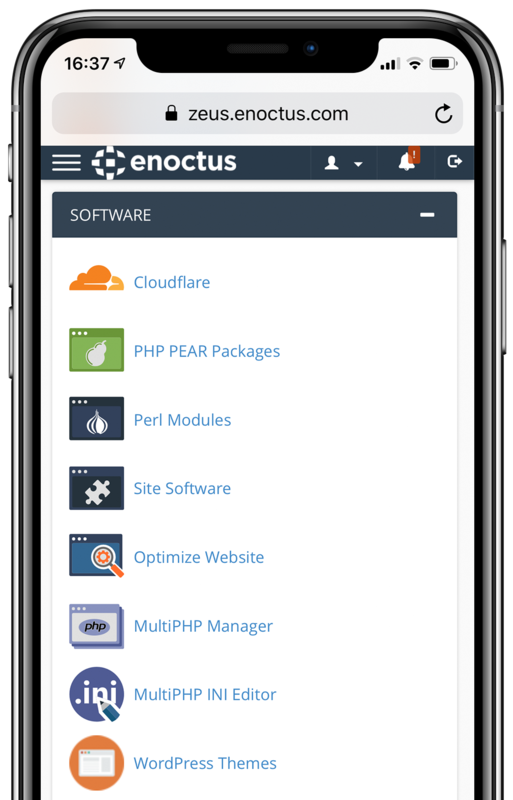 No matter you want to build a personal website or a complex business computing platform, Enoctus offers you great tools and the latest technologies to attain your cloud needs with ease. Our cloud website hosting provides a great set of tools and technologies for a stunning personal website, portfolio or blogs. Includes a domain and professional custom emails as a default. We offer a speedy, secure and feature rich cloud for all your business needs. Build and host your professional website, corporate emails, redundant data storage and much more. Let us kick start your dream with our professional online store solution. Worry-free cloud hosting which includes ready to use web design tools, professional emails, premium domains and much more. Our cloud computing platform is one of the best ones around. Choose from a large range of Linux and Windows cloud instances deployed in 30 seconds. Powered by our London, Frankfurt, New York and Los Angeles data centres. Enable your business to succeed with our professional business plans and support service. Build a beautiful website with our easy to use graphical builder. No coding knowledge required. Included as a standard. We provide cloud computing instances that are both simple and scalable. Whether it's for a heavy scale machine learning or simple web development, we've got just the right solution for you. We pride ourselves with our 100% UK based support team. Available 24/7, 365 days a year. We're there for you, regardless of scale. We do more than just provide business plans, we provide a professional service to match. From years of experience in a number of industries, our team of business experts have combined their skills to create the perfect business platform supporting everyone. Dedicated business experts are on hand 24x7x365 to provide the support with your business cloud needs to find new sales leads and reach a wider audience. All of our plans for business are high spec, hosted on the best platform making your website speedy and reliable for your customers. We only select the best data centres to host our network, with a choice of location to meet every businesses requirement. Below we have listed just some of the ways we can help your business succeed online. "Good quality hosting is hard to find in the modernized world. Enoctus was a suggestion from a friend of mine, and at first, I doubted it because it wasn't a brand I recognised. Enoctus changed my perspective of hosting."" "Getting your business into the tech world is difficult. There's so much to consider. A business package from Enoctus meant that I got everything that I needed to get online in one place. My business sales are now growing and growing thanks to my online presence. Without the business support package, this wouldn't have been possible." Enoctus includes a premium domain with every web hosting package for free. Start something new today. I am ready to build a stunning website. Sign up today Have an issue?